It’s a phrase oft quoted in the Audax world, but it’s even truer for TCR – especially so in my case. Early on in my preparation came the realisation that I was likely to reach the start line considerably shorter on kilometers than most of the other entrants. In other words my actual physical training was in all probability going to be under done. It wasn’t really a conscious decision, more of an accepted reality of the need to balance my time. But I also knew there was something I could do about it – focus on quality over quantity. Rather than endless hours without purpose, I’d aim at rides with targeted goals. Kit testing, pacing, sleep deprivation, terrain – everything longer than a regular training session would have specific aims. 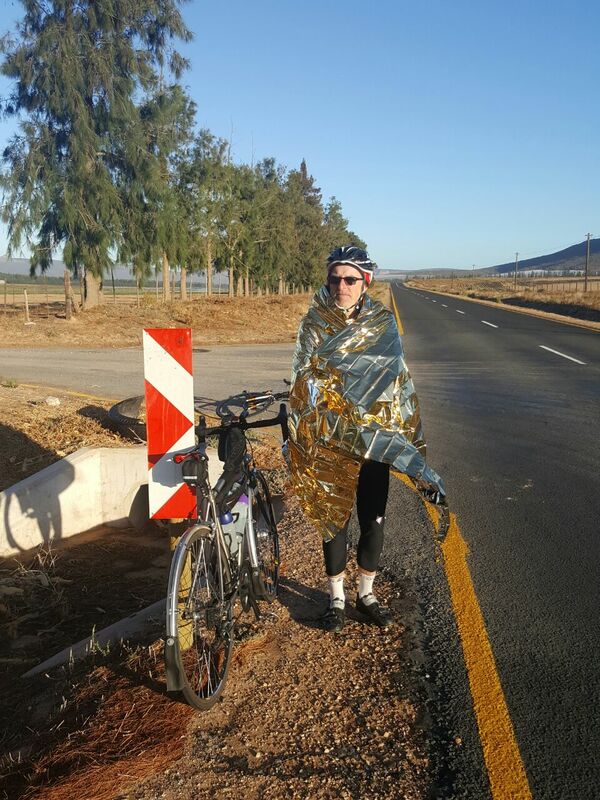 Completed at the end of last year, and already occupying it’s own blog space, the Cape 1,000km above all other things was an exercise in learning how my body would cope with TCR level pace in extreme heat and over comparable terrain. 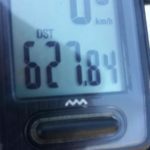 In truth we faffed a little and enjoyed ourselves rather too much, but still managed to hit the bare minimum of 250km per day, whilst wilting under mid-day temperatures which climbed into the 40s, and battling strong headwinds and significant climbs. As so often happens, what one expects to be a physical test turned out to be more of a mental one. 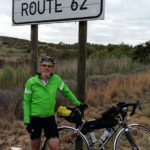 My body held together much better than expected, but my mind had several attempts at quitting which were not easy to shut out. Valuable lessons were learned each time I managed to pick myself up off the floor (sometimes quite literally!). A useful side effect of the ride was a proper test of nearly all the luggage I intended to use on TCR, and a workable system for packing everything. With the Niner not fully ready, the bags were mounted on my trusty Burls, but that detail aside it was a a near flawless test. Aside from minor niggles and tweaking, everything worked as hoped. I was especially surprised at how little the frame bag rubbed my legs, and when it did how little it bothered me. The handlebar feedback for the most part stayed out front, not fouling or banging against anything. 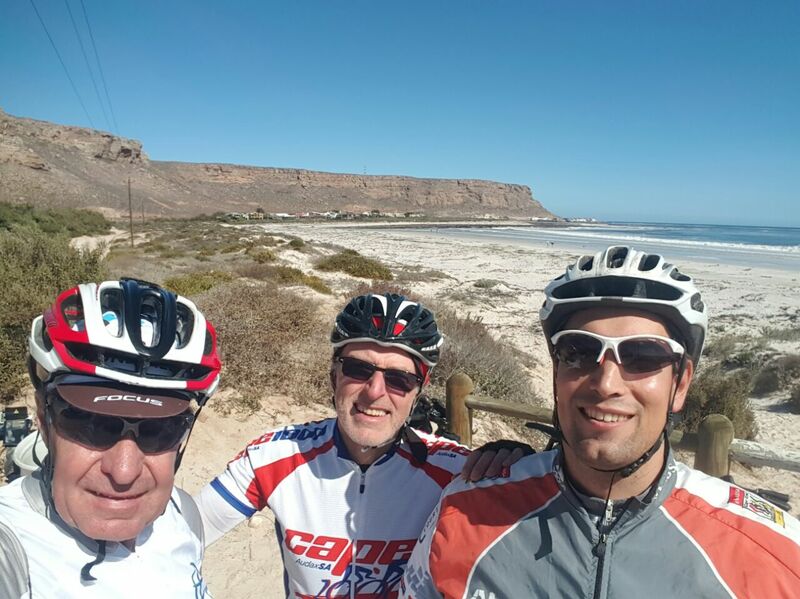 The Cape 600km (written up more fully here) was a comprehensive test of my near complete Niner rig. Several features were totally new to me over such a long ride – aero bars, Di2 gearing, wide 30mm tubeless tyres, and the Shutter Precision Dynamo. In addition, I wore a completely new pair of Fizik shoes – perhaps not the most sensible idea for a 2 day ride, but they performed very well if a shade on the loose side. This is actually intentional – they’re half a size too big for me to allow my feet to swell. A couple of easily thrown away insoles have now been added to pad out the extra space until it’s needed. Amazingly for a first outing, the whole setup performance superbly – achieving that rare but magical quality of barely seeming to be there at times. My legs span, the bike rolled, and the scenery sped by without drama or discomfort. This ride above all others marked something of a turning point for me. Up to that point I’d harbored lingering and considerable doubts over my mental or physical desire to take on TCR. More than once I had nearly sat down to pen an email saying I was pulling out of the race. In fact, I would have done so if Yoli had not reminded me several times to think about why I entered in the first place, and not cave in to mere nervous doubts. The end of the Cape 600 finally banished such thoughts. For the first time I started to believe – to put my faith in my abilities, and the equipment I’d spent so long researching and choosing. The motivation behind Flèche Thomlinson started some time before my interest in TCR. Firsts are always alluring, and there had never been a flèche held in South Africa. 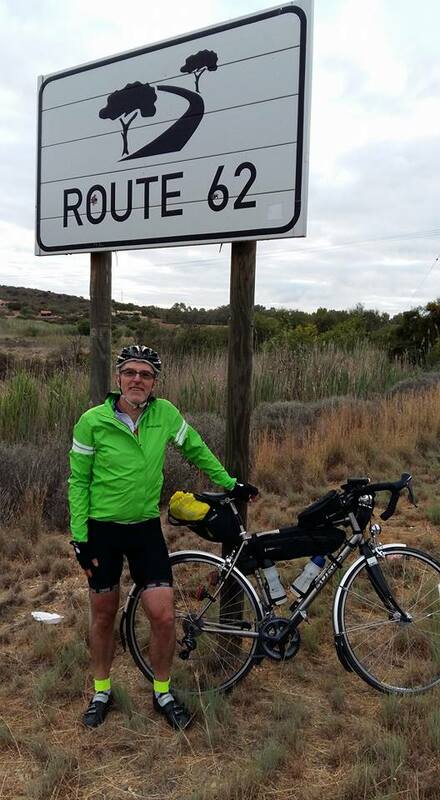 In the 20th year of Audax South Africa it seemed a great way to honour the contribution of Eddie Thomlinson in both starting the Audax scene here and, more importantly, keeping it going. Originally too, it gave Nico and myself a crack at our Randonneur 5000 award, although having completed the Cape 1,000 outside the time limit this consideration fell by the wayside. The goals in terms of TCR preparation admittedly were rather modest. 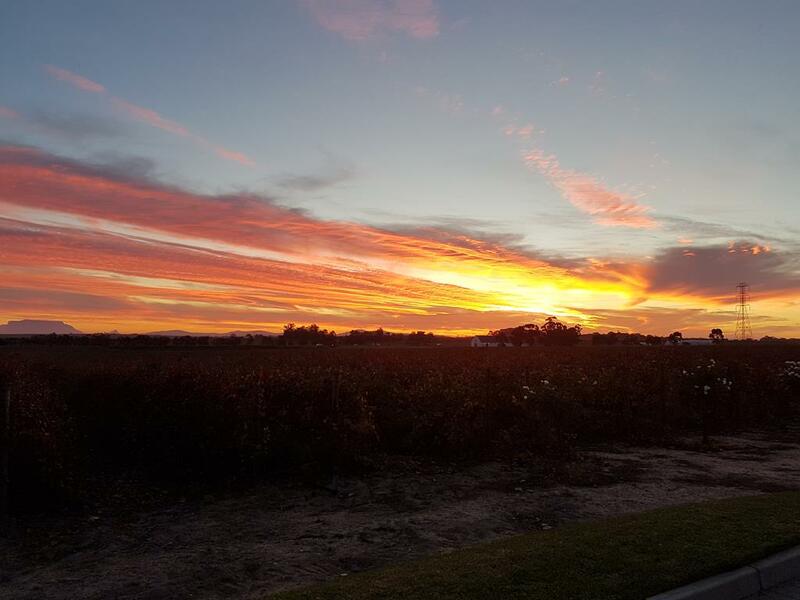 As a 24 hour endurance ride, it was another chance to gain practice pacing body and mind for an overnight start and riding all of the following day. An early crash, bitterly cold morning, and brutal headwinds clipped our distance below the targeted 410km, but the accumulated distance of 385km was a satisfying and successful completion. A couple of other elements of my TCR kit were also tested in the process. The first was intentional, my 3rd line backup light – a Fenix BC21R. On this outing it was faultless. A single 18650 cell lasted almost an entire long dark late autumn night, the second cell only going in around an hour before down. I was so impressed, I considered changing tack and just riding with two of the same plus my dynamo light. Luckily, no stock was available locally because s fatal flaw in the unit revealed itself on the next ride. The other element which got an unexpected field trail was my space blanket. I’ve carried one many times, which until this ride had never left it’s original packaging. Heading out towards Elands Baai at day break the temperature plummeted from around 7 degrees, to 1 degree. The bitter cold cut straight through our outer lays, and I was soon kicking myself for leaving my beanie and long finger gloves at home. We stopped twice to try and recover, the second occasion literally giving in until the sun rose high enough that enough rays crept over the hillside to spread some warmth. At some stage I realized the obvious – this was the exact situation space blankets were made for. Mine was a revelation. Mere seconds after wrapping myself in it, a deep warmth spread through me. I was so impressed I made Richard give it a try by way of demonstration. It’s now a permanent part of my kit whenever there is any chance of a chill. Bar-end shifters, and a newly fitted 11-36 cassette to try out across the three solid climbs of the day. This was a useful shorter ride to to see how I and the bike coped with the weight up and over those vertical meters. 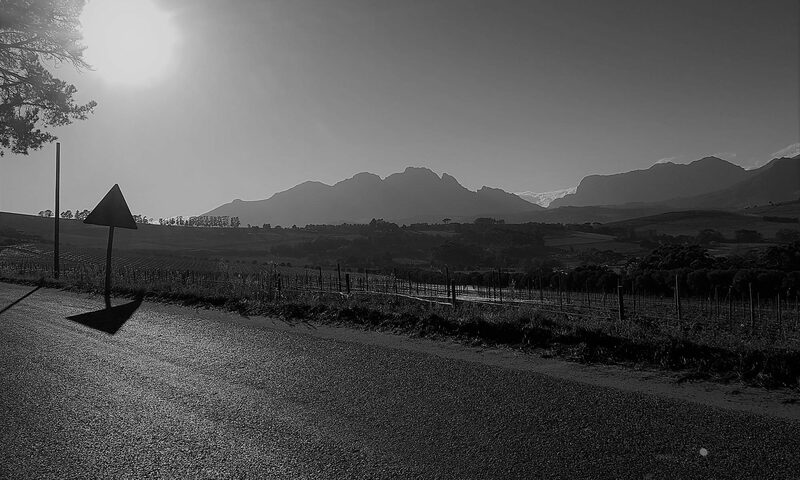 After a chilly start it was a gloriously sunny Cape winter’s day – a perfect introduction for Madeleine, an experienced rider, to Randonneuring. On one short stretch of the climb up Mitchell’s Pass the gradient pitches up significantly. I may have crept over it slowly, but the extra 4 teeth in the rear cassette kept the legs spinning easily. Back to that Fenix BC21R front light. Still highly impressive for both it’s brightness and battery life. But the descent of Bains Kloof pass revealed a fatal design flaw. The mount is hopelessly under-engineered. The shake, rattle and roll of the run down into Wellington saw the rubber strapping break and the light hit the tarmac hard. On later inspect at home, it became clear the fall had sheared off the mounting foot from the base of the light. A great shame for such a capable unit in other ways. The foot does seem to be a replaceable part – although I’ve yet to check whether they actually sell a replacement. If so, it may see future service, but it’s just not tough enough for TCR. Back to my old Lezyne SuperDrive XL – a superb and near perfect endurance light, which Lezyne were mad to discontinue. 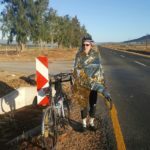 I had planned to take part in the June Cape 300km as well, but the full cold of winter arrived in the weeks before. 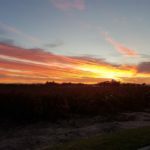 I was already nursing painful chilblains from recent club rides, and took the decision to back off all early morning rides. I knew from PBP that it could take a month or more for the excruciating hot red spots to calm down, and so altered my schedule for warmer mid-morning to afternoon rides instead. 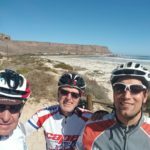 It meant riding along fairly often – not always a great plan in SA from a safety perspective, but great from the point of view of pacing and getting used to my own company. 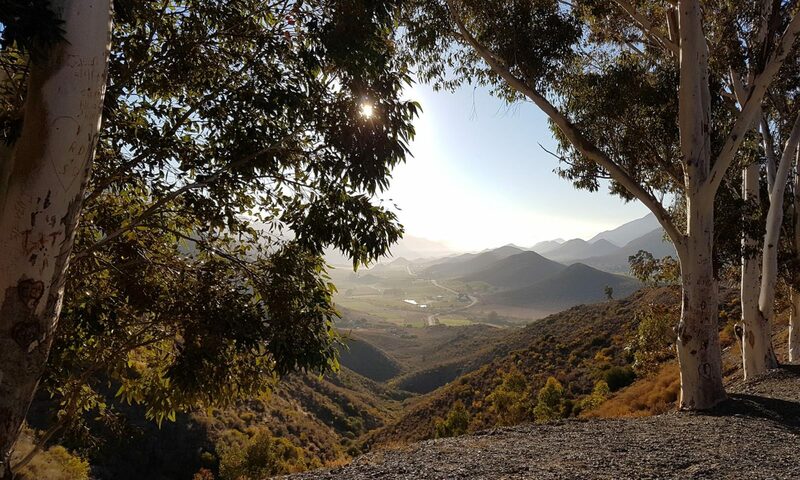 On a couple of occasions club mates turned out to join me, which made for some very pleasant social rides out to Franschhoek to enjoy coffee and the stunning wineland scenery. Now, with days to go until the start, the hands and feet have thankfully settled down just in time – no more sharp needles sticking into fingers and toes. Friends have been laughing at me around meal times the last few weeks, as I tuck down helping after helping. It’s all too common these days for people to become weight obsessed, but in my case the goal has been to put on at least 7Kg. 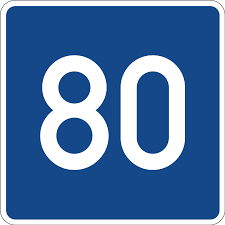 At my final weigh-in a few days ago I had hit my target starting weight of 80kg. Perhaps the oddest part of my preparation, clearly an explanation is needed. 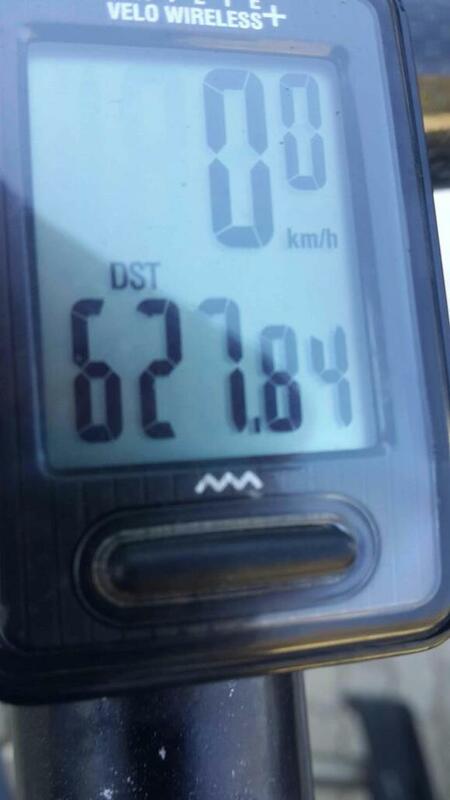 My normal riding weight is between 72 and 74Kg. But based on past experience I’m expecting to lose around 10Kg on TCR (I dropped 6Kg on the Cape 600, around 4Kg of which actual weight loss). Without picking up some kilos, that would leave me riding on perhaps as little as 62kg in the latter stages of the ride. Which is just too low for me – and poses a risk of the body turning to burning muscle as fuel rather than fat or carbs. So a few months back, the target was set to hit my heaviest weight in years. The scales have crept up extremely slowly, and although eating could not really be described as the hardest part of my preparation, it’s certainly been one which has proved much more difficult than I’d have ever expected. To many, possibly most, the above probably seems hopelessly little actual training for such an enormous ride – after all, completing TCR will pretty much double the distance I’ve ridden so far in 2017. But above all in endurance cycling, one needs to know ones body and mind. The rides I’ve done have tested the kit I plan to use, given my legs and body a decent workout without hitting the point where I’m picking up injuries from pushing too hard, but above all they’ve settled my head into a positive space where I can visualize my path to the finish line in Meteora. It really is all about preparation rather than training, and in myself I feel prepared for what lies ahead.